I had a couple of sessions on the river this week, one with the little Rapala and the other with live minnow on a paternoster. I didn't catch anything very exciting but both trips produced fish. 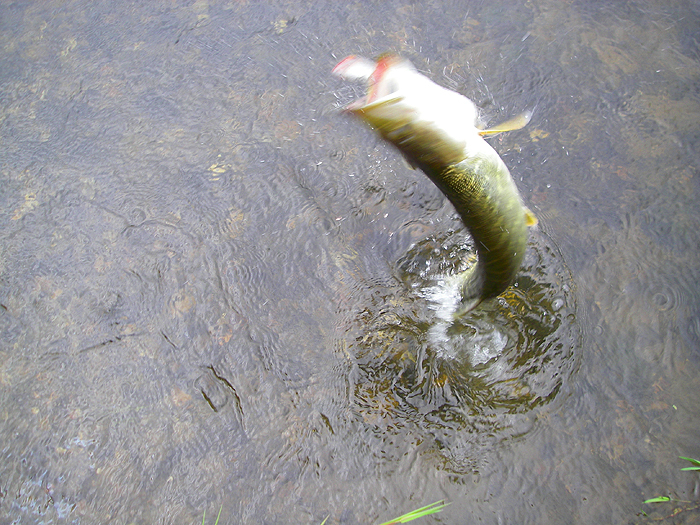 On the Rapala I had perch, pike and chub while the minnows produced perch and pike. 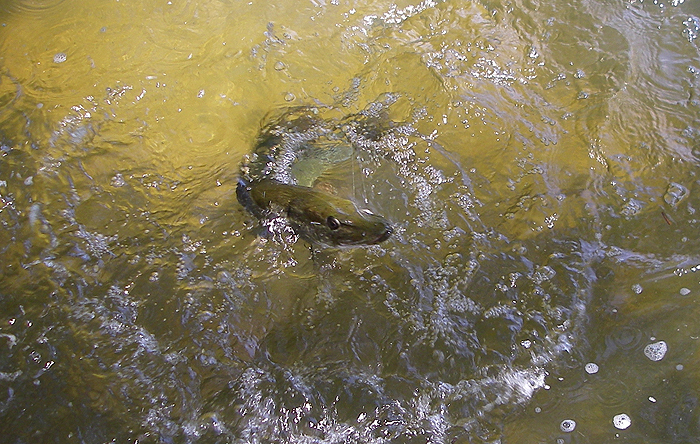 In fact I had more trouble catching minnows than catching larger fish. Each minnow was liphooked on a size 6 circle hook tied to a short wire trace. A 0.25oz bomb weight on the end got the thing down to the bottom. 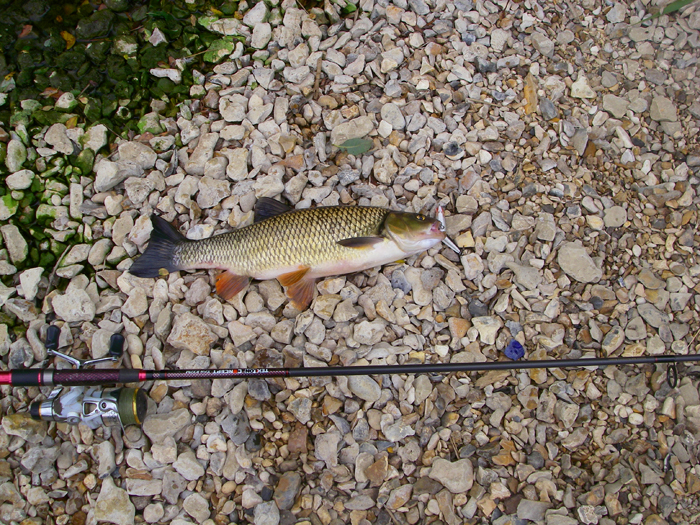 First cast I hooked a perch which was taken on the way in by a small pike. The pike eventually let go by which time I had been joined by two young lads (presumably off school during the teacher's strike?). There was barely room for the three of us to stand on the little apron of concrete by the weir. 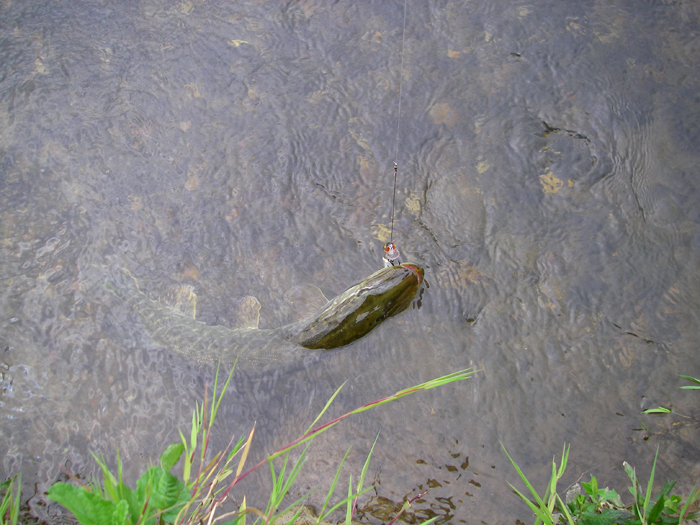 Shortly after they arrived a pike took the minnow and was landed much to the enjoyment of my companions. The boys did a fair bit of messing about in and around the water but it didn't seem to put the fish off. 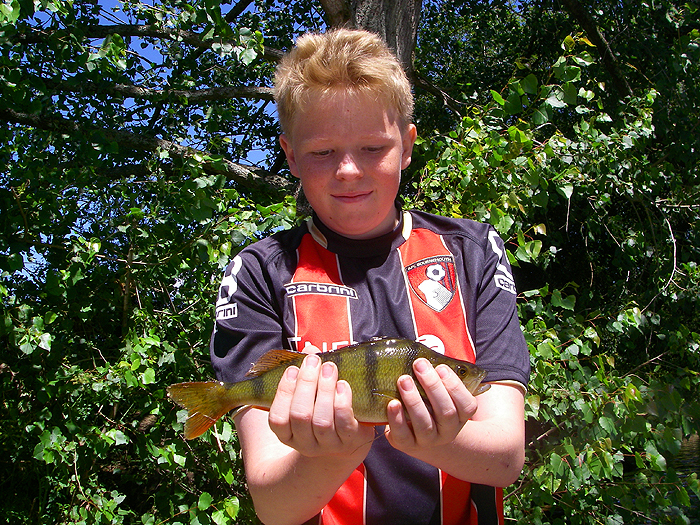 Next I had a small perch and following cast I handed the rod to one of the lads so he could wind the fish in. It turned out to be a perch of about a pound. I asked him to hold it while I took a picture but it wriggled from his grasp and escaped. The next time I passed the rod to his pal and this turned out to be a much bigger perch - perhaps 1.75lb - which escaped as we were trying to land it. Eventually I got a picture of one of the lads holding a perch but after catching a few more it was time to go for dinner. 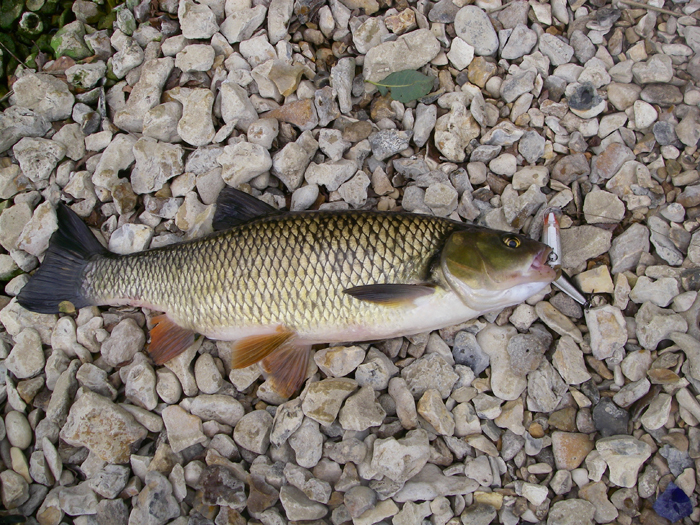 As usual the plug caught the intended chub, which was only about three pounds. In fact I was casting upstream and had had a couple of follows (bulging wakes) which I thought must be chub then, on the next cast I dropped the plug too near the bankside bushes and it was taken instantly. I reckon that the chub must have seen the lure dropping into the water because I had not even tightened the line and it was on. 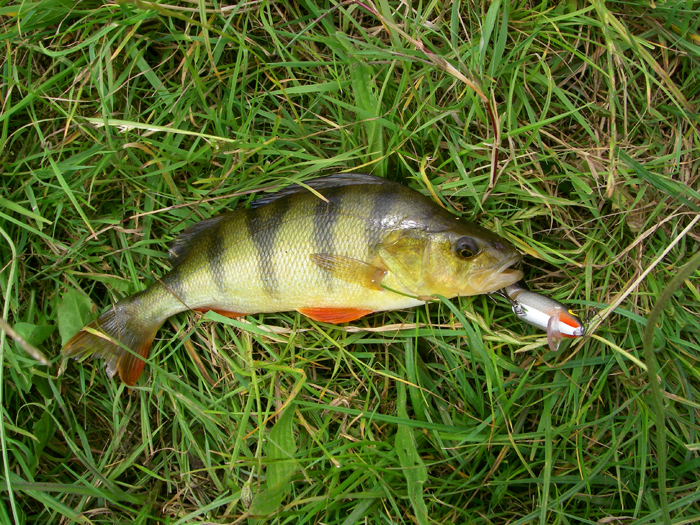 I also had a perch and a couple of jacks on the Rapala. Not bad for a short session. Young Robin with a perch.